Following a request for Dharma, Lama Lhakpa Yeshe will be expanding his public teaching schedule in Lincoln, UK, to include a second venue. In common with the original venue arrangements at Lincoln University this will be a public meeting at which all are welcome. Location: 18, Sincil Street, LINCOLN, LN5 7ET, United Kingdom. Meetings will occur weekly for the duration of Lamas stay in Lincoln (likely to the end of September, 2012). Admission: FREE, but please do consider making a donation if you are able to do so, as Lama is a Tibetan monk who relies on donations to live. Notes: Some light refreshments will be available at the venue. No alcohol. If you have never met a Tibetan Lama then please do take this opportunity to do so. Lama Lhakpa Yeshe is a warm hearted and jovial man who welcomes questions from students. Although this meeting will involve short periods of meditation there is no requirement to adopt unusual postures (for Western students) and seating will be available. Buddhist teaching will be given at a simple and easy to understand level. 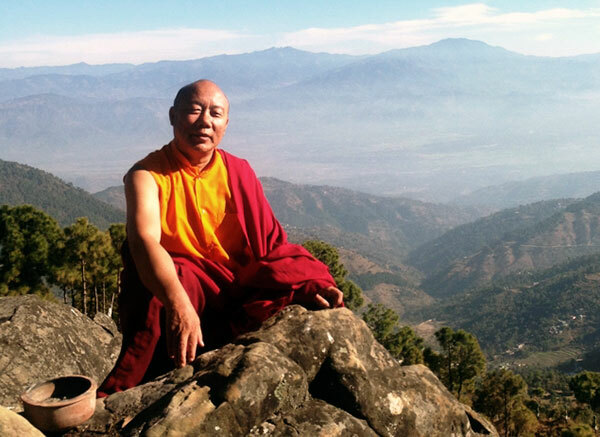 Although Lama Lhakpa Yeshe has received teachings from a number of highly respected teachers including the Dalai Lama himself, he aims to make his public talks easy to understand by all. Please call Debbie Conlon (07546 956078) or Elena Levina (07949 256725) if you have any questions regarding these teachings.